I needed a halogen bulb for an under-cabinet light in the kitchen. I spent more than an hour traveling to three different stores, including two big box home improvement stores, and never did find the bulb. I did notice that similar bulbs were selling for about eight dollars. Once I got home, I looked on Amazon. I found the bulb I needed, in a four pack for twelve dollars, or about $3/bulb instead of eight. I have an Amazon Prime subscription, so the bulbs will be delivered to my front door in two days. In the bulb hunt, I easily burned up two or three gallons of gas, or more than the cost of the bulb. It's more efficient to buy some things online. And as a side note, Walmart is giving Amazon a run for it's money. Something that was out of stock on Amazon I recently found on the Walmart Web site for 30% less, and got two day free delivery without having to pay for an annual subscription. Competition is a wonderful thing. In our work, we are seeing steadily rising numbers of people trying to work from home part or full time. In both the public and private sector, many businesses and agencies now routinely allow employees to work from home one or two days per week, which can have a huge impact on transportation spending. If most commuters stayed home to work just one day a week, you are looking at taking 15% or more of cars off the road, reducing road wear/maintenance, reducing traffic congestion, and shortening commutes. One rarely discussed challenge is that few homes have the kind of "business class" broadband needed to work efficiently from home. The most common complaint we hear is "I can't use my company VPN from home." The low bandwidth DSL connections don't provide enough capacity, and the highly asymmetric cable Internet services and their highly variable bandwidth play havoc with VPNs. We're designing and building new, modern networks designed specifically to support work from home and business from home activities. 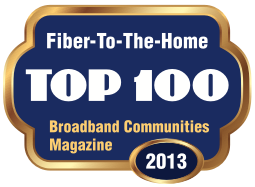 Our work in communities like Bozeman, Montana (www.bozemanfiber.com) is bringing world class, business class networks with true competition to areas of the country that have been largely ignored by the incumbents. Bozeman's community-owned network has five (5) service providers competing for customers. LinkedIn may not be entirely dead, but in the past several months, I've received nothing but "business friend" requests from sales people and consultants trolling for business. LinkedIn has enabled "lazy" sales work. Just browse LinkedIn for keyword matches for whatever you are selling, and then send a "link" request. I turn them all down. I was a very early LinkedIn user, and have yet to find it particularly useful. I've never let it have access to my address book, and I rarely use it reach out to people I already know--email and the phone are far more efficient. LinkedIn is basically Facebook for business people, and aside from the news feeds, it does not offer me much functionality. Death of TV: Part LXXVII: Is it really over? I've been writing about the death of TV since 2005, and twelve years later, the body may be finally in rigor mortis, or close to it. YouTube has announced a $35/month TV service that includes Fox, ABC, NBC, CBS, Disney, and....ESPN. It's ESPN that may finally break the back of the traditional cable subscription business model. We've heard very consistently that a lot of residential customers have not given up their cable or satellite subscription because they want to watch sports. YouTube seems ready to give them a viable option. Bio-diversity on the Internet is a good thing, just like bio-diversity in the real world is a good thing. The Amazon S3 failure yesterday caused major disruptions in a lot of Internet services, particularly on the east coast of the U.S.
As companies like Amazon, Microsoft, and Google hold and manage every-increasing portions of Internet content and services, the potential for an service outage to cause major disruptions becomes greater as well. Technology fails, and it is dangerous for any company (or individual) to keep all data in one "basket." There is still nothing safer than a couple of external hard drives, stored in two different locations (e.g. not your business or your home) with your valuable data. Putting it all in the cloud puts it all at risk. In a clear sign that the incumbent telephone and cable companies are playing a long game in their fight against competition, a draft bill began circulating in the current legislative session in Virginia. It was quickly dubbed "the death star bill" because it would have made it nearly impossible for Virginia localities to make any investments in broadband infrastructure. Purportedly, the intent of the bill was to protect taxpayers from "wasting" public money on broadband infrastructure. But it had many restrictions that seemed very similar to the restrictions passed by the North Carolina legislature some years ago. But Virginia has a wide variety of communities that have already made substantial investments in bringing competitive broadband services into their mostly rural areas, and there was rapid mobilization to fight the bill. According to ars technica, the bill was replaced by a different bill that only codified some bookkeeping transparency requirements--the rebels won again. Eldo Telecom has a wry sense of humor. He has called a draft piece of legislation circulating in the statehouse in Richmond, Virginia the "Twisted Pair Preservation Act." It's black humor at its best, because the bill would make it very difficult for local governments in Virginia to make any kind of investment in telecom infrastructure, even if the infrastructure was offered on a wholesale basis to private sector providers and even if the locality stayed out of offering retail telecom services. The incumbents are very fond of claiming that all muni telecom projects are poorly managed, financial catastrophes waiting to happen, and a waste of money. But if they are right, why would they waste their lobbying dollars to outlaw something that doesn't work? This is the dog that did not bark. The community broadband projects obviously scare the heck out of the incumbents, because *distributed ownership of infrastructure* breaks the 100 year monopoly on telecom that they have had. It's been a nice ride, but it's coming to an end. Competitive broadband is not really about getting government involved at all. Government participation is a means to an end, it is not the end goal. The end goal is distributed ownership of telecom infrastructure, and that could be a whole variety of public and private players, including customers themselves. This weekend, while I was busy wasting time watching a Youtube video, there was an ad for a WiFi-enabled slow cooker. I'm not sure what bothered me more: the ad showed a guy in a car using his smartphone to turn on the slow cooker--he looked like he had just won the lottery; or the fact that a cooking pot has WiFi built in. I suppose someone is going to buy the things, but the idea that you now have a cooking pot, subject to extremes of heat and moisture, with electronics built in sounds like a recipe for rapid failure of the circuit board. And then you have a pot that does not work. I have had the same slow cooker for more than twenty years. It has no software, has never needed an upgrade, does not have an IP address, has never been part of the Internet of Things, I can throw it in the sink to clean it, and works every time I plug it in. I've never thought, "Gee, I wish this had WiFi." Next up: A news report that the Russians have hacked two million slow cookers and are using them to crash CIA servers with Denial of Service attacks. As our portable devices become more common and more powerful, the Web is being wrecked by the blight of ads. I see this both with browsers on computers but also and especially on the portable devices, where the pop-up and pop-over advertising not only obscures the content but is often impossible to get rid of. On a smartphone, and I don't care how big the screen is, the little 'X' or "Close ad" button is so small as to be unusable. It is now ordinary to visit a site and then leave within a few seconds without reading anything because the ads are so difficult to get rid of. 'Free' content, of course, is not really free. The people and organizations running these sites have to pay the bills somehow, but I think we are on the wrong side of a downhill slide, where ads are about to overwhelm the content (and on some sites this is already true). What I find most disappointing is the commercialization of the Web. There was a time, in the nineties, when creating and maintaining a Web site was easy enough for almost anyone. But the complexity of managing even a basic site is staggering. Tools like Wordpress and Drupal have become so complex that they have become textbook cases for becoming the problem they were developed to solve. So we all go to Facebook, which has done a good job of making it easy to have a "page" for a community group or some special interest/hobby. But is it really healthy to have the entire world using a single platform? Death of TV: Part LXXVI: Who needs a TV anymore? The CW network has released an app for Apple TV that allows you to watch all of the channel's content for free--no cable TV subscription required. This is another crack in the wall being defended by both the content owners (broadcast channels, cable channels) and the cable TV networks. It's a drip drip drip change, but OTT (Over The Top) offerings like CW are growing. Even if we all end up with several video subscriptions (e.g. Netflix, Amazon Prime, Hulu) the cost of video content is going to be much less in the long run, and we are going to be able to pick and choose exactly what we want to watch, rather than being forced to buy 100+ channels just to get a half dozen we are interested in. Facial recognition: The end of privacy? Facial recognition software is now in wide use by groups as disparate as Facebook, local police departments, Homeland Security, and the NSA. What it means is that whenever you post a picture of you, family, or friends anywhere online, someone can easily identify every single person in the picture, and very likely determine from the caption or comments where you have been and what you are doing. That information, if scooped up by a private entity like Facebook or Google, is immediately sold to advertisers. Lately, I've noticed that the ads being served on Web sites I am browsing change within one or two minutes of doing a search on Amazon or some other shopping site. It used to take a day or two for me to see those changes. We are trading privacy for convenience. It remains to be seen how this will all turn out, but Big Brother is really twins: Government Big Brother (all the local, state, and Federal agencies collecting and maintaining data on us) and Business Big Brother (all the large multi-national companies, like Google, Amazon, and Facebook that collecting and selling our personal information). On the heels of accidents caused by self-driving cars, there is a report of a "security robot" accidentally running over a small child at a California shopping mall. The 300 pound, five foot tall robot bumped into the child, who fell down, and the robot ran over the child's foot. The child was not seriously injured. We are going to see a lot more of this, as "robots" of all kinds are rushed to market with poorly tested software. I had some hope that Microsoft, once Steve Ballmer departed, might become more customer friendly. And in the past couple of years, Microsoft has made steady improvements to products like the Surface tablet/laptop--I see a lot of them in my travels. Here at the office, we've actually seriously discussed moving away from Apple for office productivity software because Apple, since Tim Scott took over, has apparently just decided quality software is not particularly important. But my most recent Microsoft experience has me once again thoroughly soured me on the Redmond company. I have been using a perfectly adequate copy of Office 2011 for years, and dutifully install the frequent patches and upgrades. I've never had any problems with the software until the most recent upgrade, which installed a new splash screen that tries to get me to buy Office 360 (a never-ending software rental). To actually get Word or Excel running on my Mac, I have to click on a little button on the bottom of the splash screen labeled "Use Word for free." For free. Um, I bought and paid for this software, and now Microsoft, via the new unwanted splash screen, tries to tell me that they are "letting me" use their software "for free!" If this is not annoying enough, the upgrade deactivated Word and now it only operates in read only mode. So the software I paid for has been hijacked by Microsoft. I called tech support, and of course they wanted the serial number off the box that I bought five years ago. I can't find it. And the nearly incomprehensible tech support people (very heavy accents reading from a script) really had no idea what I was talking about. I gave up. So good job, Microsoft. You've hijacked the software of a long time customer and made it unusable. If you think this is the way to get me to buy Office 360, you're wrong. Google has helped to fund some middle school buses in Caldwell County, North Carolina with WiFi so that the kids can get some school work done while traveling back and forth to school. While this is an interesting experiment, the reason behind it is the abysmal state of broadband access in rural America, where whole families have to drive to McDonalds or the local library so mom and pop can get their email and shop, and so the kids can do their homework. Everywhere I go these days in rural areas, the number one complaint is coming from the mothers of K12 children. Mom is dead tired from trying to manage access to Internet for her children. Stop in a rural McDonalds after 3 PM, and I can almost guarantee you will spot some vans in the parking lot with mom in the drivers seat and two or three kids bent over laptops or tablets trying to get their homework done. Rural libraries are groaning under the strain of demand for Internet access, and they have to strictly manage time limits on the use of library computers. As the school systems put more and more textbooks and resources online, the problem becomes more acute for families with poor Internet access. I just spent 40 minutes trying to help a friend order Internet service for a new home in rural North Carolina. They knew that there was no cable service, but did not know who the telephone company was for the area. I tried four different companies: Windstream, AT&T, Verizon, and CenturyLink. Verizon's site was the worst, as they make it very clear that they don't want to sell you any copper-based services. I spent many minutes clicking around on their site trying to figure out how to order DSL, without much luck. When you do finally find the DSL page, the only "order" button is for FiOS. No matter what page you land on on the Verizon site, it's all FiOS, all the time, along with lots of add-on services they want you to buy to fluff up your bill. One thing that was interesting: on one of the pages I landed on trying to get to the DSL information, the first thing you see is a full page of information about cellular data plans. So Verizon wants to sell you a cellular data plan or FiOS, and anything else....not so much. I did eventually find the link to check an address for service, and of course, they had none for my friend's home. The other three providers were pretty much the same. AT&T winds some sort of prize for the most obscure service names: You can order U-verse or Gigapower. Snap quiz: Which one is fiber and which one is DSL? Answer: Good luck figuring that out. Finally found the "check address" dialog, and of course, no service. But great news! AT&T is happy to sell you satellite TV and a cellular data plan. When you go to Windstream, you get a really bad version of Yahoo! News as their front page. CenturyLink actually easily had the best site, with a well-designed front page that made it relatively easy to figure out what plans are available and their cost. But no service in my friend's area. Despite record profits and high prices, all four companies seem determined to clutter up their own site with ads and "up sell" items, which are probably enormously profitable. But trying to order plain old telephone or Internet service is an exercise in frustration. If I have trouble, I can only imagine the teeth-grinding and keyboard pounding that a typical potential customer goes through to just get some very simple information. Next step for my friend: She is going to contact some neighbors to find out who the telephone company is. So much for the power of the Internet. Twice in the past week people have complained that I did not respond to their email. In the first case, they sent the missive to the wrong address, waited two weeks, and then wondered aloud to me if I was really busy and was unable to keep up with email. Well, yes to the really busy part, but no to the unable to keep up with email. I cannot respond to email that I have not received. In the second case, the sender was upset because they had sent an email in the morning and I had not responded by mid-afternoon. It was a day when I was out of the office with a client, and had back to back meetings throughout the day. I was not checking my email. The "always connected" Internet culture has created a false sense of connectivity for not just email, but also for things like texting. I travel in a lot of rural areas, where cell towers may be few and far between, so I don't necessarily receive texts a few seconds after someone sends it. Email and texting are asynchronous services; you send the message, and it may or may not reach its destination in any given time. There seems to be a rising resistance to using the phone for business communications, even though the phone is a synchronous communications medium--if I answer the phone and are speaking to you, you know with certainty that I have received the message. There is a certain irony at work in our culture when we all have "smart phones" but don't actually use the phone part. Wired has a review of the iPhone SE, which is Apple's newest smartphone offering. It is essentially the guts of the iPhone 6 in the iPhone 5 case--meaning you can actually put the darned thing in your pocket without feeling like there is a brick in there. I've handled both the iPhone 6 and the iPhone 6 Plus, and I don't like either of them--just too big. I don't want or need a mini-tablet. The iPhone SE finally acknowledges that there is a market for a phone that isn't bigger than a breadbox.